Governmental groundwater management using large analytic element models. When did we use elements, finite differences or analytic elements at the Amsterdam Water Supply? Analytical solutions versus numerical solutions in groundwater modeling. Principles of the analytic element method. Analytic element modeling of the Yucca mountain site, Nevada, USA. Application of a national groundwater model for ecological issues. Development of a regional groundwater flow model for the twin cities metropolitan area, USA. Immersion influence and preventive measures study for Laohekou City by analytic element method. Comprehensive well field modeling for Marion County, Indiana. Onsite real time interpretation using the derivative approach: Application to a deep water well in fissured granite. Analytic element model analysis of the influence of different scenarios for 105 the water level in a future retention basin, on local and regional hydrology. Regional-scale ground-water modeling of the Delmarva Peninsula (USA) using analytic elements. On the effects of three-dimensional density variation in groundwater flow on the head and flow distribution in a multi-aquifer system. Modeling brackish groundwater flow at the Berkheide deep well recharge project. Modelling of the effect of sea-level rise and landsubsidence on the evolution of the groundwater density in the subsoil of the northern part of the Netherlands. The depuit approximation for variable density flow in coastal aquifers. Finite analytic - strongly implicit procedure for variably saturated porous media. An analytic-based Cauchy boundary condition to simulate the interaction between many surface waters and groundwater. MONA, an analytic based interface for the connection between the Dutch nationwide models for unsaturated and saturated groundwater flow. Analytical solutions for pumping tests in multi-layered complexes and for mass transport with variable velocity. 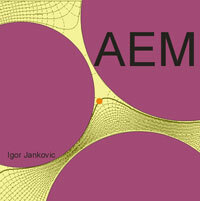 Mixing cell transport for AEM flow: Coupling of analytic element flow with mixing cell transport by using groundwater flow for generation of cell network. Two-dimensional flow through large numbers of circular inhomogeneities. Numerical experiments on residence time. Bounds to the contamination of aquifers. Transient well flow in vertically heterogeneous aquifers. Convergence of flow around theis wells to a specified steady state. An analytic element formulation for transient flow. Transient analytic element modeling: Application to an artificial recharge plant. Unit response of a stream-non uniform aquifer system and application of convolution relation. Dynamics of the groundwater table. An analytic element solution to unconfined flow near partially penetrating wells. An area-sink with a multi-quadric density distribution. The reconstruction of NAGROM (1996): experiences with the new version of Strack's analytic element method. A massively-parallel analytic element code. The compilation, analysis, and use of databases for the twin cities metropolitan groundwater model, USA. Three-dimensional flow through large numbers of spheroida ~ inhomogeneities. An analytic technique for handling coupled partial differential equations. An analytical solution for steady flow into a tunnel. The superblock approach for the analytic element method. Explicit analytic solutions to problems in groundwater flow. The perturbation method applied to upscaling of conductivity and rigidity parameters. Analysis of different anisotropy models in groundwater flow calculations. High order line elements for two-dimensional groundwater flow. Summary and conclusions of the conference. J. Ridder, deputy-director Netherlands Institute of Applied Geoscience TNO- National Geological Survey. Applications possibilities of some models for contaminants transport through phreatic aquifer. Richards'and potential models for moisture flow. Parameter estimation in the Metro model, Twin Cities, USA. Province modeling in the Metro model, Twin Cities, USA. Modeling of groundwater flow at the large diameter well system in Sri Lanka with the radial flow model. Technical support for analytic element modeling. An internet webpage. The contribution of NAG ROM to the national analysis of regional groundwater flow systems. Analytical multi aquifer modeling with MLPU. Simulation of salt water intrusion. GL Flow, AEM groundwater flow model. Labrador social, health and environmental changes. Saphir, well test interpretation software. MLAEM, Multi-Layer Analytic Element Model.